Want it by Wednesday 24th April? Order within 3 days, 12 hours, 17 minutes and choose Royal Mail Tracked 24 Hour at checkout. 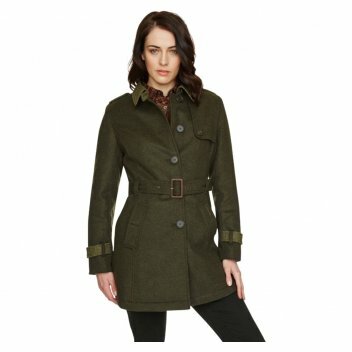 In a beautifully soft yarn that’s made with wool and cashmere, the Montrose is a stunning women's trench coat with tweed trims.